Containing such concert classics as "Dark Star," "The Eleven" and "Saint Stephen," The Grateful Dead's 1970 release, Live/Dead, was the legendary band's first attempt to capture on vinyl the energy, improvisational inspiration and sheer musical magnitude of their live show. Nearly 20 years later, these vintage performances take on new depth and dimension with the compact disc release of Live/Dead. Formed in 1966 [sic] on the thriving San Francisco music scene, The Grateful Dead brought together a number of disparate musical elements into an innovative and influential whole. Lead guitarist Jerry Garcia had served a stint in a jug band; bassist Phil Lesh was involved in the frontiers of electronic music; keyboardist/vocalist Ron "Pigpen" McKernan had a background in the blues, while rhythm guitarist Bob Weir and drummer Bill Kreutzmann were well versed in rock, folk and R&B. The group became a staple on the city's psychedelic ballroom scene in the mid-'60s, fashioning a tightly meshed ensemble sound that one critic likened to "rolling thunder." The Grateful Dead recorded their self-titled debut album in 1967 in just under three days. The LP showcased the group's trademark open-ended jams, along with some well-crafted, pop-flavored originals. It was followed, in 1968, by Anthem Of The Sun, on which the band combined live and in-studio tracks to create an extraordinary aural ambiance approximating the live Dead experience. It was a strategy expanded and enhanced on Aoxomoxoa (1969) with the group delving further into the studio's sonic limits on a selection of cuts that pushed the outside of rock's experimental envelope. It was in this pioneering spirit that The Grateful Dead assembled the best material from a number of live performances to make up their next release, Live/Dead. Produced by the band, with longtime collaborators Bob Matthews and Betty Cantor, Live/Dead also features the percussion work of newly recruited member Micky Hart, along with the keyboards of Tom Constanten. The result is one of the most memorable offerings in the Dead's entire recording career, ranging from the interstellar expanses of "Dark Star" to the Pigpen's blues rave-up, "Turn On Your Lovelight," to the group's traditional closing number, "And We Bid You Goodnight." 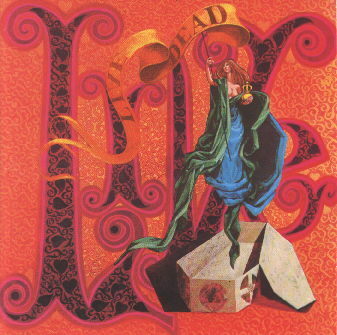 Live/Dead was released on November 10, 1969. It is a compilation of live performances at the Avalon Ballroom during January 1969 and at the Fillmore West in February and March 1969.